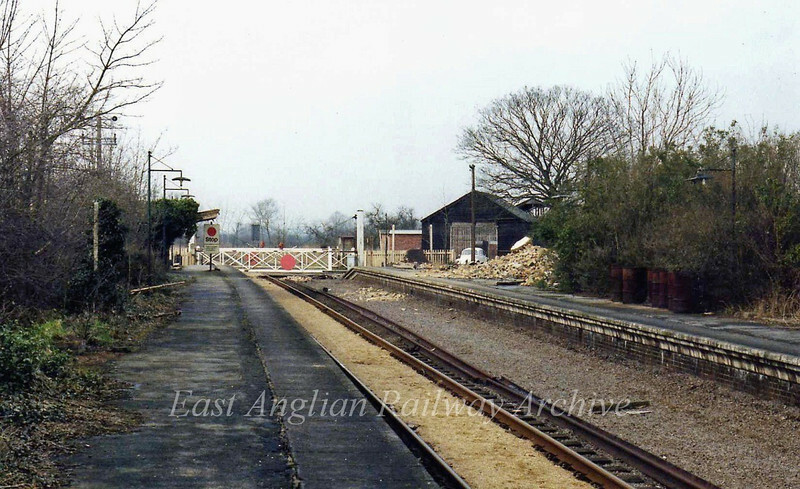 Swavesey facing west towards St Ives on 12th March 1978. The pile of rubble on the up platform is the remains of the station house (next photo). This scene has now been totally obliterated during construction of the guided busway.